If you search the Internet for an answer to the question, how often should I change my razor blades, a myriad of responses will turn up but most recommend changing them every 5-7 days. If you fall into that category, you’re going through a considerable amount of blades per year. Scratch that! 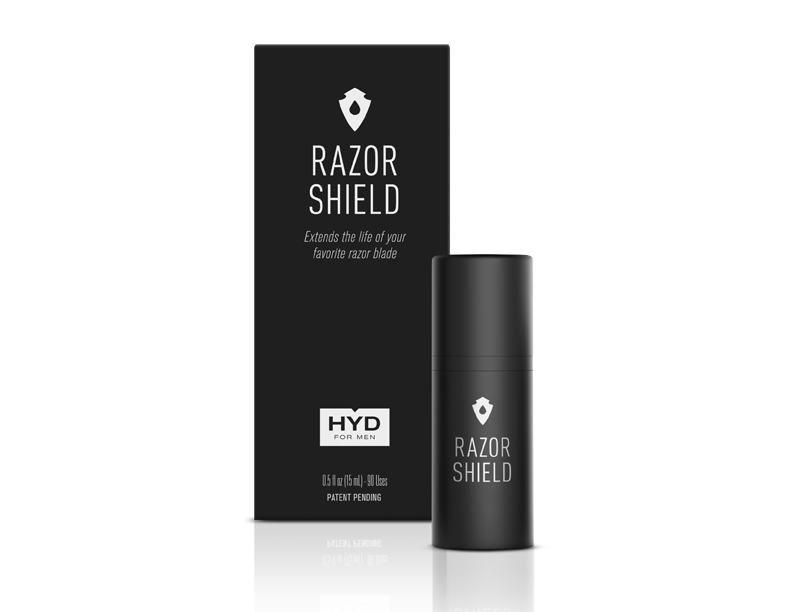 I recently put Razor Shield by HYD For Men to the test and my double-edged blade lasted me 25 days. Impressed? Keep reading. Whether you shave daily or every other day you finish your shave by washing off your blade and lay it on the sink or hang it in a holder to dry. The excess water, which is still there, and the condensation build up present in the bathroom team up and begin dulling your blade by corroding it. To combat this, Razor Shield, which is a proprietary solution you apply to your razor blade after every use, creates a barrier around the blade to protect it. As simple as that may seem, I was honestly astonished how long my blade lasted. While I bought my blades in bulk prior to using Razor Shield, this will make them last even longer, which will add up in my favor for once, and I couldn’t be more satisfied. I think you will be too after trying Razor Shield. This entry was posted in Product review and tagged details, Hyd for Men, Men's grooming, Men's Grooming Essentials, Razor Shield, Shaving, Wet Shaving. Bookmark the permalink. Have never heard of a product of this type but sounds like one that I shouldn’t miss out on. Give it a shot Bill and let me know what you think.